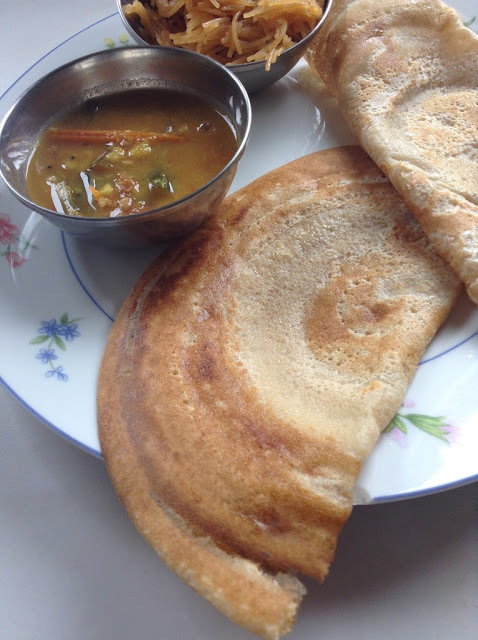 Cooking With Swapna: Instant Crispy Wheat Dosa - Just delicious !! 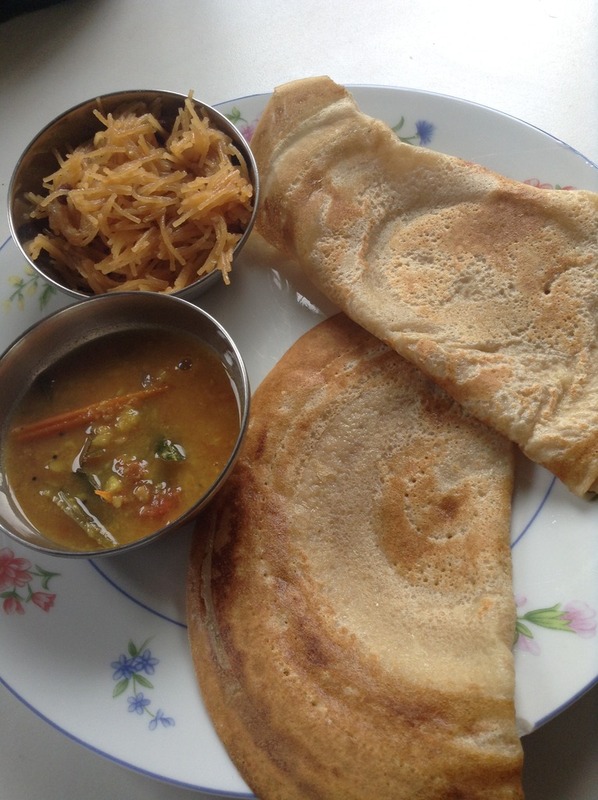 Simple, crispy and comforting breakfast which taste delicious with chutney & sambar. I like to add small quantity of rice flour & butter for crispy texture, which is optional. 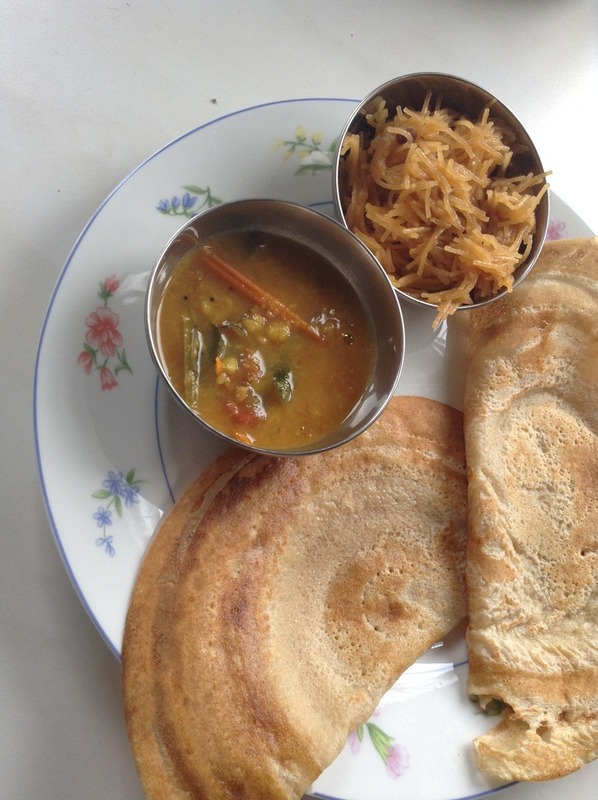 This dosa requires no pre preparation, fermentation and can be done instantly. 1. In a bowl, add & mix together the whole wheat flour, rice flour, salt, sugar & butter. 2. To the flour mixture, add buttermilk, soda and water as required. Gently mix the batter without any lumps. 3. 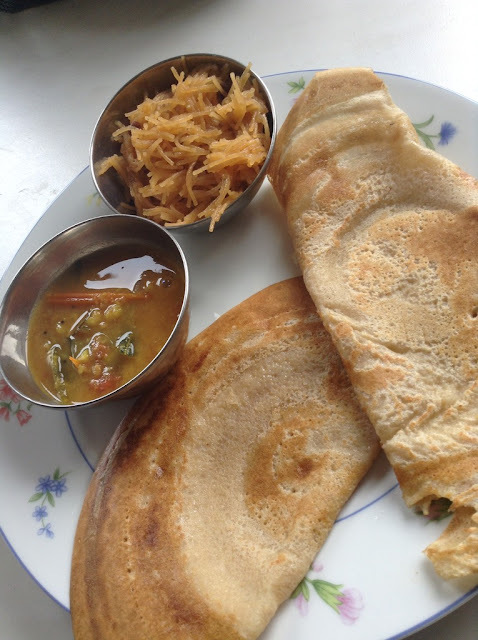 Heat the pan over medium flame, pour a ladle of batter and spread it into thin or thick dosa. Drizzle little oil around the dosa and cook till it turns brown and becomes crispy on all sides. Serve them hot with chutney.